HIRE SERVICES ROCKINGHAM. BALDIVIS HIRE EQUIPMENT, HIRE PORT KENNEDY, TRAILER HIRE ROCKINGHAM. BALDIVIS TRAILER HIRE, EQUIPMENT HIRE PORT KENNEDY, PORT KENNEDY HIRE, SECRET HARBOUR TRAILER HIRE, KWINANA TRAILER HIRE, EQUIPMENT HIRE AND TRAILERS PORT KENNEDY, TRAILER REPAIR ROCKINGHAM. EQUIPMENT HIRE ROCKINGHAM. Looking for a trailer or equipment to hire? 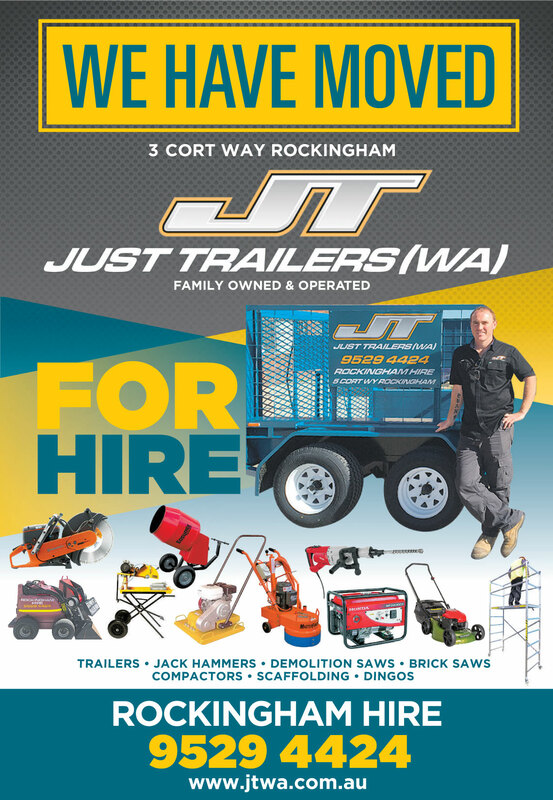 Just Trailers WA have been supplying trailer hire and trailer repairs in the Rockingham area since 2014.